It’s a busy night in the NHL with ten games on the schedule including an epic matchup between the Tampa Bay Lightning and Winnipeg Jets. The two teams are considered top contenders from each conference and very well may end up battling for the Stanley Cup down the road. As teams prepare for action tonight we’ll be right here keeping track of all the minor moves. The Philadelphia Flyers have recalled Justin Bailey from the minor leagues, his second call-up since being acquired from the Buffalo Sabres in mid-January. Bailey, 23, played five games for the Flyers during that first recall but failed to score a single point. Joshua Ho-Sang and Michael Dal Colle are back up for the New York Islanders under emergency conditions, likely meaning a pair of New York Islanders forwards are dealing with injury or illness. The pair of youngsters have been playing together in the minor leagues and still have plenty of potential. Goaltender Collin Delia has been recalled under emergency conditions by the Chicago Blackhawks, and announced later on that Cam Ward will be out 7-10 days with a knee injury. Delia has played quite a bit for the Blackhawks this season and could potentially be a candidate to take over an NHL role next year. The Ducks announced the recalls of center Sam Steel and defenseman Jacob Larsson from San Diego of the AHL. Steel has had a productive rookie season with the Gulls while Larsson has seen action in 38 games with Anaheim this year while logging over 16 minutes per night of ice time. Seven games grace the NHL schedule tonight, including John Tavares’ return to New York. The former Islanders captain spurned the team by choosing the Toronto Maple Leafs in free agency and is expected to get a less than welcome reception upon his return tonight. Meanwhile, the Tampa Bay Lightning and Boston Bruins do battle in a matchup of the top two teams in the Eastern Conference. As the league prepares, we’ll be right here to keep track of all the minor moves. Sammy Blais is on his way back down again, a usual occurrence recently for the young St. Louis Blues forward. Blais has been moved up or down eleven times this season, including a recall just two days ago. The 22-year old has three points in 27 games for the Blues this season. 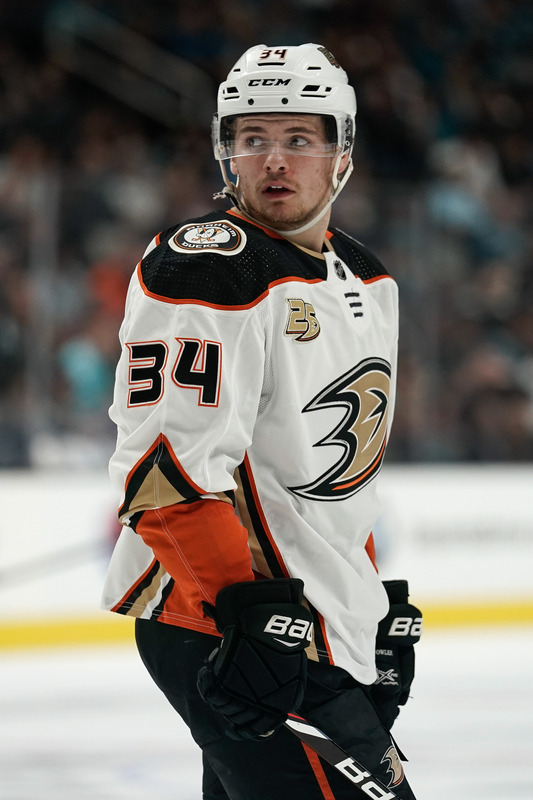 Sam Steel and Jacob Larsson were both returned to the San Diego Gulls last night, their stay as insurance policies for the Anaheim Ducks apparently over for now. The pair will continue their development at the AHL level and wait for another opportunity. Drake Batherson has been recalled today for the Ottawa Senators as Rudolfs Balcers deals with the flu. The Senators are giving all of their young prospects a chance to show what they can do at the end of the year, and Batherson is one of the most exciting. The 20-year old fourth-round pick has developed into quite the professional already, recording 49 points in 41 games for the Belleville Senators while also contributing eight points in 19 games for Ottawa. Matt Luff has been recalled by the Los Angeles Kings for their game against the Dallas Stars, another young player set to get a chance down the stretch. Luff has played 30 games for the Kings this season and has ten points including seven goals. The Boston Bruins have sent Karson Kuhlman back to the minor leagues according to Mark Divver of the Providence Journal. Kuhlman played four games earlier this month for Boston, recording two points in the process. Later in the day, the Bruins also announced that they returned Peter Cehlarik to to the AHL. Cehlarik fared well in 14 games with Boston where he collected six points but his ice time had dropped in recent games so he’ll return to the minors and play a prominent role with Providence. Heading to Columbus alongside Duchene yesterday was AHL defenseman Julius Bergman. However, he never actually landed in Columbus and may never suit up for the Blue Jackets. The team announced that Bergman has been reassigned to their affiliate, the Cleveland Monsters, where he can reasonably expect to play out the season. Then, Bergman is expected to return to his native Sweden next season. His move to the Blue Jackets was simply a way for the Ottawa Senators to open up an additional contract slot for the organization as they continue to deal at the deadline and hope to add multiple pieces in return. The Buffalo Sabres have recalled a pair of forwards and may have some ulterior motive for doing so. The Sabres announced that Danny O’Regan and Scott Wilson have been promoted from the AHL’s Rochester Americans. O’Regan, 25, has not played in the NHL all season and as a result is headed for Group 6 unrestricted free agency this summer. Wilson, 26, also has yet to make his NHL debut this season and has been buried in the minors of late. He has an additional year remaining on his contract at $1.05MM, but doesn’t appear to have a place in Buffalo’s long-term plans. Without any attachment to either player moving forward, it seems likely this call-up could be used to showcase the capable forwards. Whether the Sabres choose to buy or sell, there’s reason to believe both O’Regan and Wilson could have value to a variety of teams. In a corresponding move, CapFriendly reports that the Sabres have reassigned defenseman Lawrence Pilut to the AHL. The return of Casey Nelson has pushed Pilut to the No. 8 spot on the Buffalo blue line and the team clearly prefers he get some play time in the minors instead. The 23-year-old has shown some flashes of brilliance at times this season, but overall has yet to prove he is an everyday NHLer. Meanwhile, the team announced that winger C.J. Smith has also been sent to Rochester. He has played in 11 games with Buffalo so far this season but has been a point-per-game player in 41 contests with the Americans. Henri Jokiharju’s latest stint with the Blackhawks was short-lived as the team announced that he has been returned to Rockford of the AHL. He was recalled just yesterday but suited up when Carl Dahlstrom (flu) was unable to play. However, the 19-year-old played just 9:14. Jokiharju was a regular for Chicago early on but has not had the trust of head coach Jeremy Colliton to the point where they’ve decided he’s better off in the minors for the time being. The Senators have assigned defenseman Maxime Lajoie to Belleville of the AHL, reports TVA Sports’ Renaud Lavoie. The 21-year-old rookie surprised many with a strong start to his season with seven points in his first six games. However, he has cooled off considerably since then with only eight points over his last 49 contests while his ice time has dropped a lot as of late. A chance to go back to the minors and log some more minutes would certainly be beneficial for his development. The Philadelphia Flyers have recalled forward Corban Knight from the Lehigh Valley Phantoms of the AHL, according to Sam Carchidi of Philly.com. Knight, who has missed most of the season with a broken collarbone, was placed on waivers two weeks ago and sent down to get him some playing time. The 28-year-old has fared well in four games with the Phantoms, posting two goals and six points. The Anaheim Ducks have recalled star prospect Sam Steel from the San Diego Gulls of the AHL and have assigned forward Brian Gibbons there instead, according to Eric Stephens of The Athletic. Steel, the team’s first-round pick in the 2016 draft, had 15 goals and 32 points for the Gulls, but has struggled in Anaheim’s lineup in 13 games this season. The team hopes that after a significant time in San Diego, Steel can contribute the offense the team needs to turn around their season. Gibbons had just two goals and five points in 44 games for Anaheim this season. To make room for Ryan Dzingel on the roster, the Columbus Blue Jackets announced they have assigned defenseman Adam Clendening to the Cleveland Monsters of the AHL. The 26-year-old was faring well with Cleveland with three goals and 28 points in 33 games. However, he has appeared in just four games for Columbus this year with no points.